This website is intended to give a panel of existing Arctic Studies through viewing maps. The usage of " Google Maps ", here makes it possible to display an interactive map of the Earth, and to place marks above it. What kind of Arctic Studies? The expression " Arctic Studies" contains vast lexical field. That is why we use maps here, in order to display the information and answer this question in attractive way. 1. Firstly, we will focus on arctic studies, using this expression litteraly. 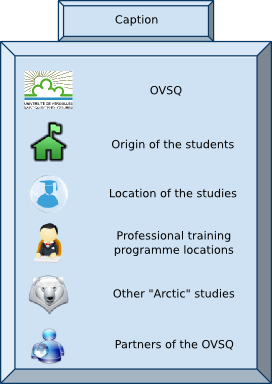 "Arctic Studies" (created in 2010)-Master 2 proposed to the students by Versailles-Saint-Quentin-en-Yvelines University (U.V.S.Q.). 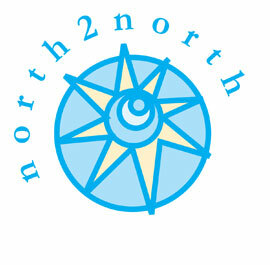 Where the students can study the Arctic? The huge university network, which is always spreading. This university network is made up from 5 universty networks. 2. Secondly, Arctic Studies, the lexical field of this expression which also extends to the arctic exploitation by industries. 3. Lastly, Arctic Studies, can mean also, first explorers and the Arctic projects : past and future. Here, you can find the captions of the maps. - Map N�1 : Students and partners of the O.V.S.Q.